Throughout its life, the Gallery has launched several major retrospectives of nationally and internationally-known museum artists, including Camille Claudel, Christo & Jeanne-Claude, Robert Arneson, Roy De Forest, Wayne Thiebaud, and David Gilhooly. Early on, the Gallery hosted major exhibits for many painters and sculptors of various periods. These exhibits were vital to movements involving West Coast artists of the ‘50s and ‘60s, the San Francisco artist-run Beat galleries, figurative painters, and sculptural ceramics– well-documented by catalogs and books. Several educational conferences, founded by John Natsoulas, continue to bring leading artists to Davis. The oldest and largest ceramic conference in the country, the California Conference for the Advancement of Ceramic Art, was founded by the gallery in 1988 and enters its 27th year in 2015. The conference features a weekend of demonstrations, lectures, panel discussions and exhibitions. Over 50 colleges and universities from across the state exhibit their work in student shows and participate in this three-day conference. The annual Art of Painting in the 21st Century exhibition and panel discussion, with its focus on contemporary painting, has attracted artists such as Phil Pearlstein, Enrique Chagoya, and Deborah Oropallo, and art critics and historians Ed Lucie Smith, Peter Selz, and Donald Kuspit. Significant past events include the Beat Generation and Beyond Conference and Exhibition and The Western Biennale World of Fine Art. 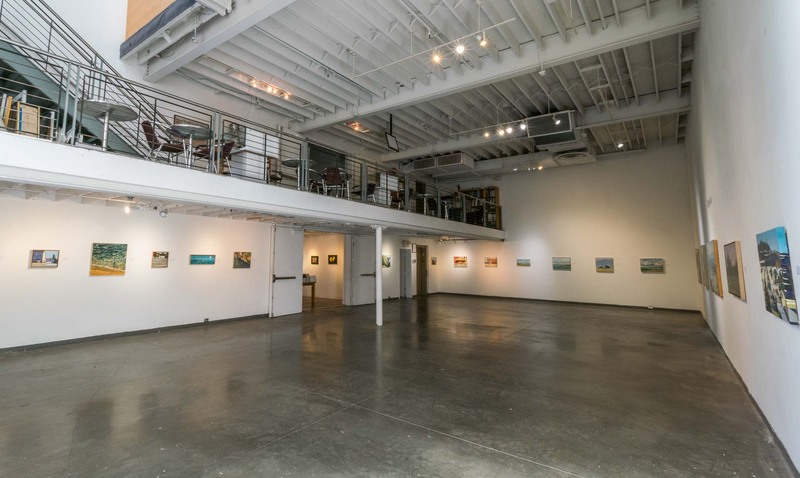 In addition to the special conferences and events, the gallery exhibits feature work by well-established local regional painters and sculptors. Taking a particular interest in the work of young painters and sculptors, the gallery helps them develop their careers and build a platform for getting their art out into the world. The gallery, home of Poetry Night, a bi-monthly evening event, MC’d by Dr. Andy Jones, features world-renowned poets and a venue for interested individuals to hear work by a variety of emerging poets.